Malacanang said on Monday House appropriations committee chairman Rolando Andaya Jr. can question the 2019 national budget before the Supreme Court if he feels that it violated the high court’s 2013 decision declaring the pork barrel system unconstitutional. “It’s their right to question anything that they feel should be subject to a petition before the Supreme Court. That’s their right. And in fact, that’s their duty if they feel na tama sila. Let the Supreme Court decide,” spokesperson Salvador Panelo said in a press briefing on Monday. 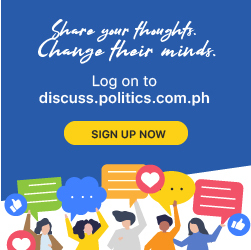 Panelo made the comment after Andaya said he would join Senators Franklin Drilon and Panfilo Lacson in questioning President Duterte’s veto message if it restores the P75 billion “pork” in the budget of the Department of Public Works and Highways. Duterte, according to the Palace official, would closely scrutinize details of the 2019 budget. “But, the President, as we said, will be scrutinizing every phase, every provision of the budget. He wants to be sure that it is in conformity with the Constitution. And he will veto anything that he feels is not correct or irregular,” he said. Panelo added that Congress can override the President’s decision. “How can you question a veto power that’s lodged in the Constitution? It’s there. It’s a power of the President to veto. What they can do under the Constitution is to override a veto. You don’t have to go to the Supreme Court. A President vetoes a measure, then Congress can override the veto by the required number of votes. May mechanism eh,” the chief legal counsel explained.